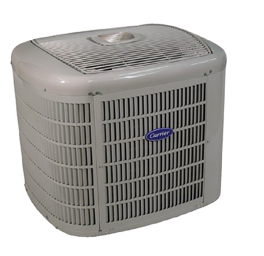 So as to get good services, you need to hire a home AC repair company that has the capacity to deliver the quality of services that you are looking for. Although there might be many individuals as well as companies that offer these services in your area, you need to understand that not all of the, can be good. In fact, you will be baffled to find out that even though some of them are reliable, others do not even come close to what you are looking for. Here are some reasons why you should think about Dallas Plumbing Company when finding the best home AC repair company. You need to ensure that the company you wish to hire has a license to carry out the work. There are several requirements that they should fulfill before they can be accorded such certification. This is because the authorities want to ensure that the companies are capable of doing this work before they can be allowed to do it. You might be surprised to find out that there are many applications that have been denies because according to the regulators, the companies have nothing of value to offer to their potential clients. If you hire without looking at the certification and licensing of a company, you will be more likely to end up with a quack who will only promise things that they are not capable of doing. Considering the fact that you will be spending your hard earned money on these services, you have no option but to be careful. The good thing is that regardless of where you come from, there always are many good companies that you can always rely on whenever there is need. All that you need to do is to identify the one that suits you best. It also is good to know how dependable the company is. For instance, if you want the AC to be repaired urgently, you will not want a company to take too long before they can do. In such a situation, all you need is an assurance that the work will be completed within the time that is best for you. This depends on the honesty and efficiency of a company. There are those who will tell you that they will have completed the project by a certain time but will not keep their word. You have to avoid such contractors. When finding the best home AC repair company in Dallas, you might want to know the number of clients that they are attending to and if there is a technician on standby to work for you. Even if they are the best company that you have ever heard of, there definitely is nothing that you will gain from them if they do not even have time to work on your air conditioner. Reliable studies show that it is better to look for another company than to waste your time waiting for someone who does not even have time for you. With the many companies that can be found almost anywhere, you should not find it too difficult to get a good one. According to the experts, it is better to choose contractors who have enough experience because they are more knowledgeable. There are special skills that they learn as they do their work and so, you can be sure that as days go by, they become better. This is more important if your home AC has unique problems that are not common around. The company that has enough experience will be able to identify your unique needs and work on them accordingly. In addition to that, such companies are easy to relate to. Their employees have been trained about every aspect of the work and so, you do not even have to worry about what they are going to do. With such a company, you can relax and just wait for them to complete everything. The fact that they can do the work very fast is one of the things that make them even better. For instance, if there are urgent things that you need to do at home, you will not want to hire a company that seems to take forever just to do this work. You also are likely to enjoy the services of a company such as Dallas Plumping owing to the way that they invest in the best tools and equipment for this work. Indeed, there is now ay a company can assure of a good job when they do not even have the necessary tools. If you realize that the tools they are using look like they have been in use for centuries, it is an indication that you should just look for the services elsewhere. There is no doubting the fact that when it comes to air conditioning, the needs of clients are always changing. The repair companies also need to alter their services in order to meet these needs. Cases where custom services are needed have been the biggest challenge to companies that are stuck in the past. If they cannot upgrade their tools, they cannot meet the modern needs. A look at some of these companies shows that some of them do not even have enough tools and equipment. If you hire such, you can be sure that a lot of problems will be coming your way. There is no need to go through such a situation when you know that you can easily avoid it. All in all, Dallas Plumbing Company is your one stop place for all your needs when it comes to finding the best home AC repair company. If you are not happy with the companies and individuals that you have been hiring, it definitely is time to switch to this company and start enjoying the benefits that others already discovered long ago. Whenever there is a problem with your AC, all that you need to do is to contact the company for a solution. This entry was posted in Air Conditioning Services by admin. Bookmark the permalink.